You probably either love okra or hate it, but either way, red burgundy okra makes a lovely, showy specimen plant in the garden. You thought okra was green? What kind of okra is red? As the name suggests, the plant bears 2- to 5-inch long, torpedo-shaped fruit but is the red okra edible? 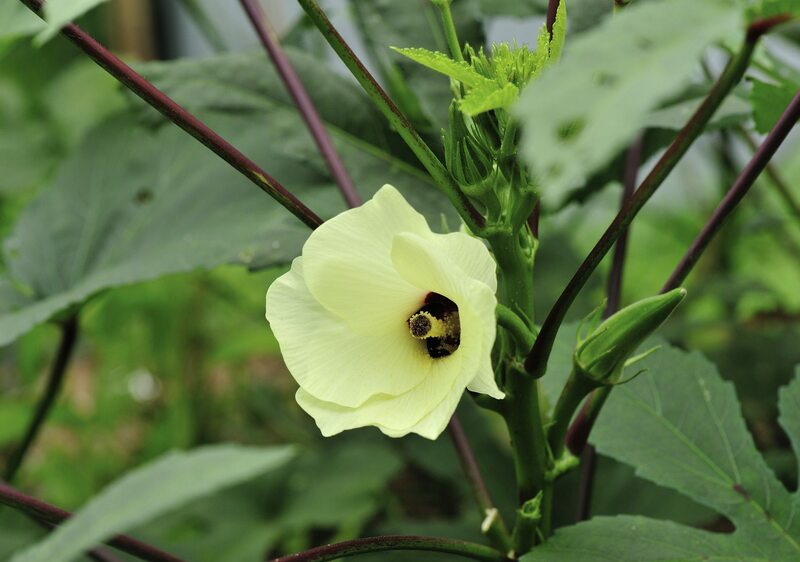 Read on to find out all about growing red okra plants. What Kind of Okra is Red? So back to the question “is red okra edible?” Yes. In fact, there really isn’t much difference between red okra and green okra other than the color. And when red okra is cooked, alas, it loses its red hue and the pods turn green. Start plants inside 4-6 weeks before the last frost date for your area or directly outside 2-4 weeks after the last expected frost. Okra seeds can be hard to get to germinate. To facilitate the process, either gently crack the outer coating with nail clippers or soak them in water overnight. Germination should take place in 2-12 days. Space seeds 2 inches apart in rich soil, and about ½ inch deep. Be sure to amend the soil with plenty of compost since okra is a heavy feeder. Transplant the seedlings when all chance of frost is gone and the soil is warm, and ambient temps are at least 68 degrees F. (20 C.). Plant the new plants 6-8 inches apart. Pods should form in 55-60 days.